Located at the western end of the ground floor, Albert Coates Complex Mt Helen Campus, The Hub provides a range of healthy, delicious meals and snacks made fresh daily; sandwiches, wraps, rolls, yoghurt, hot food, pastries, salads, cakes, cold drinks, newspapers, coffee and more. Two-course evening meals are available in the Albert Coates Complex, Monday to Thursday from 5.30pm-7pm. All welcome! Simply purchase your voucher from the FedUni Store and present to hospitality staff. Monday-Thursday 8.30am–3pm, Friday 8.30am–1.30pm during Semester. Opening times subject to change during Semester breaks. Opening hours: Monday-Friday 9am-5pm during semester. Opening Hours: Monday - Friday, 9am - 4.30pm, during semester. Internal merchandise orders should be placed using the following form. FedUni Store online should not be used for internal purchases. Ruby's is a contemporary cafe located in the Albert Coates Complex at the Mt Helen Campus, and open to the entire University community. The cafe features a menu to suit all tastes and budgets with gourmet pizza, pasta and salads. Monday-Thursday 8am-4pm, Friday 8am-2pm during semester. Cafe La Kiss offers a fresh contemporary menu to the Gippsland and Berwick Campuses. 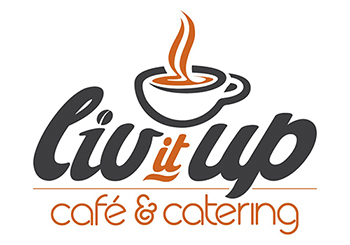 Liv It Up Cafe, located in the Ballarat Technology Park, Greenhill Enterprise Centre, Mt Helen offers fully equipped function rooms and facilities as well as cafe and catering services. Breakfast, light lunches, sit down hearty meals, pizza, coffee and cake are all available as dine in or take-away options for your convenience. Prospects training restaurant located at the SMB Campus has seating for up to 100 guests and offers a variety of options for your upcoming function. Our venue can host large events with full bar facilities or smaller events such as meetings, dinners and luncheons. For further information or to join our mailing list, visit the Prospects web page.